Facebook has announced that brands may soon be able to pay to have page posts shown in the news feeds of non-page fans, extending their reach beyond users who have ‘liked’ the brand. The ads will appear in both desktop and mobile versions of the social network. 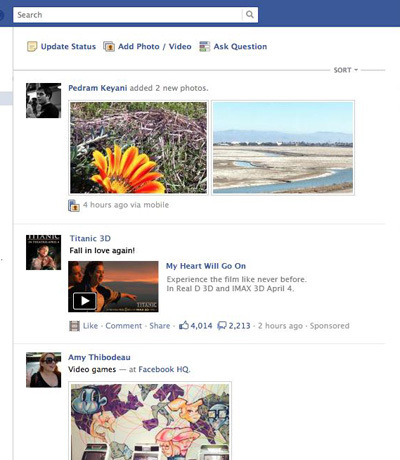 It is another extension of ‘sponsored stories’ which Facebook made available in the news feed of page fans in March. Described as a ‘reach generator’ product, it allowed brands to pay for a guaranteed reach of 75% of their fan’s news feeds. The new ad product will allow brands to take reach a step further by targeting people who are yet to ‘like’ their page. Facebook says they will gather feedback from participants in the test to help improve their ad experience.